A consistent theme in photos of Curiosity Rover! More Gathering Creatures Into Containers Using C-like Representations of Hands-Fingers! Notice all the "hand", "fingers", "locks", etc. ​the cataclysm in extreme ancient past ! Notice the "goldfish two part lock at the bottom of the image. widened by the terrible calamity ! When Mars Lost It's Atmosphere And The Surface Destroyed! Check the Teddy Bear and see what I have to say about it and much more! More Gathering Creatures And Problems With Older Dead Creatures And Ones That Seem To Be Alive! "White" movement markers, to show that the work to lift up the creatures was laborious . Having to have a system in which the dead were taking care of into their appointed layer! Support For The Dead Creatures So They Will Not Fall Through! If there was still water from waterways or even oceans, water would be a very rate commodity ! to protect water and make sure they get it away from their drinking water! In my opinion. what they had to do to give foundational support in their "layers" of massive, massive dead! Either to be placed individually or collectively ! Jagged Pieces Of The Dead = Creatures To Be Placed ? Lots of "pulling" is needed ! Teeth etc ! Jagged pile is very large! work involved! In my opinion! the dead creatures into areas that are more complete in a light brown or tan color. through "pincher" like odd hands! Like you would do with your thumb and for for-finger in a "C" fashion. Please zoom in and notice what I'm saying ! Top section of photo right below here! Three Main Section : Hooking-Up Sections - Large Piles Of Dead Creatures - Speeding To Get Job Done! What amazes me is that Martians seem to be incredibly descriptive! the Martians lost their atmosphere and planets surface wiped away! The heartbreaking view of seeing all their beloved creatures dying or dead. loosing of their creatures? Gone forever, never to be seen again! And it isn't by chance that this recurring theme is repeated over and over! after the calamity hit and all the dust settled! I think the containers are made from the creatures themselves! Such as whale skin etc. Which would be larger and more durable. leads me to this conclusion! the fact that that there is evidence to prove this! Where most of the creatures must have died! can see "white" motion markers to give an understanding the work they had to do when the calamity hit and rocked mars big time! Many, many slots seem to be in various locations, as if to signify they are being placed there for a proper burial ! Many for sanitary reasons, out of respect for loosing all their creatures when they lost their atmosphere in extreme antiquity etc. Please notice the characters (1 and 2) depicted in this scene, how they very much seem to be in the act of feeding. In other words, when the the martians lost their atmosphere in extreme antiquity and their planet destroyed. When they finally got up from underground and waiting out the effects of the terrible catastrophe, they finally saw a horror of horrors. Creatures probably in extreme shallow water where there used to be oceans, seas, larger water ways. Drowning and dying for lack of proper water and food. But the martians had at least to try to save the ones that were desperately trying to survive. I think the martians where so emotionally hurt and haunted by what they finally saw first hand, that they artistically created memorials to the terror of terrors, of loosing practically all of their creatures. So for probably generation after generation created creature artistic sculpted memorials to the terrible, terrible horrific event of loosing their beloved and precious creatures! In Ernest Norman's book: The Truth About Mars, he claims a leader of Mars stated that Mars "Shook for eight days". When the solar flare happened way back in extreme antiquity ! I REALLY think that the reason we have a hard time understanding these amazing outside floor sculptures or three things: 1.Nasa fades them to the extremes, 2.Martians make them so detailed, to show how millions if not billions of creatures died all at one time. 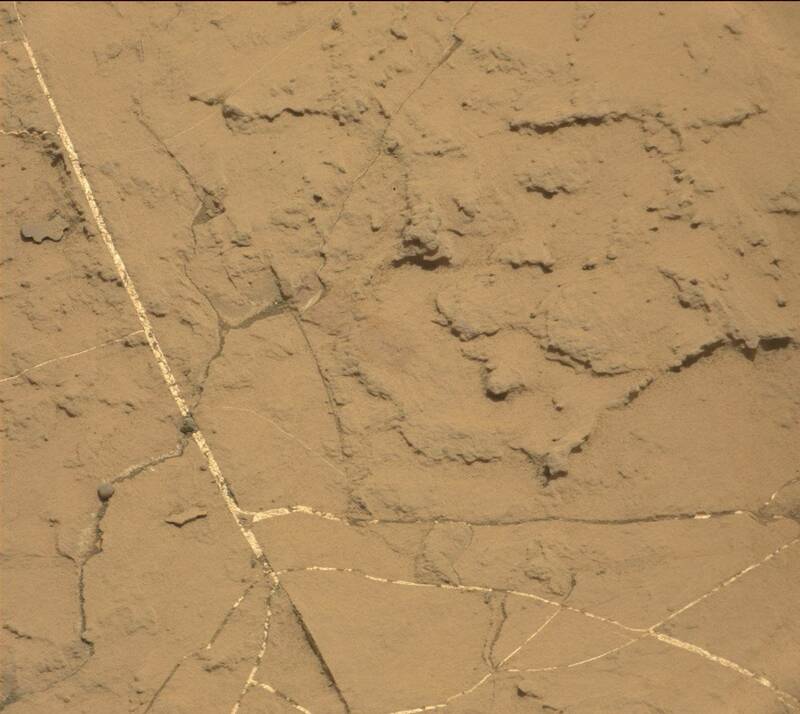 The Martians seem to be showing in their floor sculptures, the amount of slots, or containers they had to produce. 3. The martians have their own artistic culture, it seems it is a very sophisticated culture and is not easy to glean tidbits of information here and there! I think these memorial sculptures have artistic representations of skins of the dead creatures to make pockets and slots in layer after layer after layer. That is why I think all the sculptures you see that are layered on top of each other are so numerous! Of course it could be representative of just all the creatures that died together. But It has to be that the martians had to do massive, massive clean up work, just to keep disease and bacteria from all the dead creatures, away from themselves ! Placements Of The Dead Creatures! Memorial Floor Sculptures ! Creatures Putting Themselves Into Containers Or Their Own Death Beds. Or Martians doing hard labor in the act of gathering the dead creatures etc. In other words, this could be the martians way of displaying the almost endless amount of creatures that died when they lost their atmosphere and their planet destroyed in extreme antiquity! 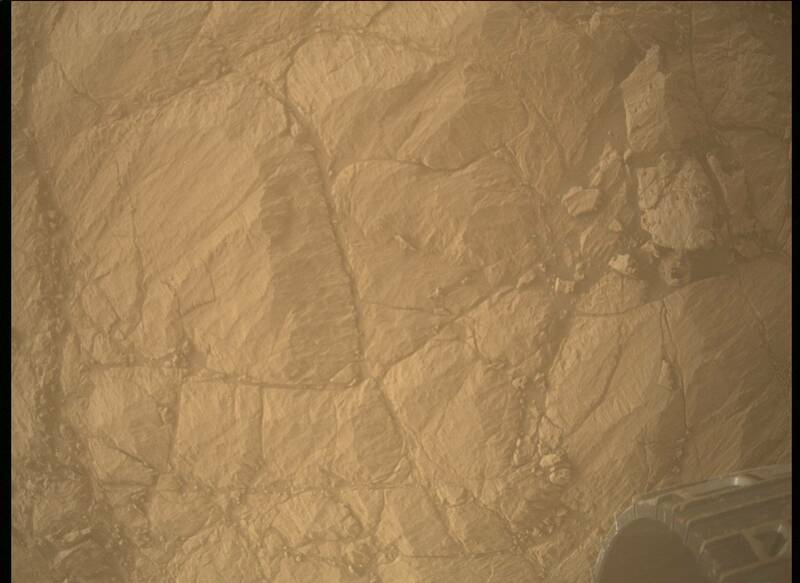 The martians seem to TRULY LOVE to sculpt (not in rock or stone) but a type of material that is easily moldable for fast sculpting. They love to make almost endless floor sculptures to represent loosing their beloved creatures! Please notice "hands" as gestures, either of putting the dead into death-bed like containers or creatures making their own dead beds! I say this because the odd arms and gesture like hands seem to be in the form of "fish" but the fish are extremely subtle in design. As if to bring mystical flavor to their designs. Very haunting like! The best word I can come up with are "sculptured gestures" in odd hand or odd arm form! Many times you can tell they are sculptured stories involved when you catch the drift of the meaning of the outside floor sculpture "gestures"! But don't look for human hands, but look for the flow of the pattern of the slight protrusions and how the flow of a certain direction and how others flow in an opposite direction etc! into slots, or creature next to creatures. And seemingly even creatures within creatures! hardly any creatures were left upon the planet! With the exception of possibly creatures being able to hide in cavities underground etc. Such as lizards, snakes etc. Which is referenced to Ernest Norman's book "The Truth About Mars". One thing that has to very accurate is the "white" like "gesture" and pincher like hands! They ARE clearly showing-gesturing that they are placing the dead into containers or creatures very close next to other dead creatures. And they way the martians display these sculptured scenes seem to be indicating that it was an almost endless and tedious job to undertake this procedure! Again, this can only be referenced to the ending of their planet's surface and the loosing of their atmosphere in extreme antiquity ! Putting The Dead Into Containers! More photos of floor sculpture memorials showing how the martians had to "gather" creatures into containers, "transferring" and eventually combining ! When Mars lost it's atmosphere in extreme antiquity in my opinion! Also "odd hand gestures" as if to say "it stops here" ! 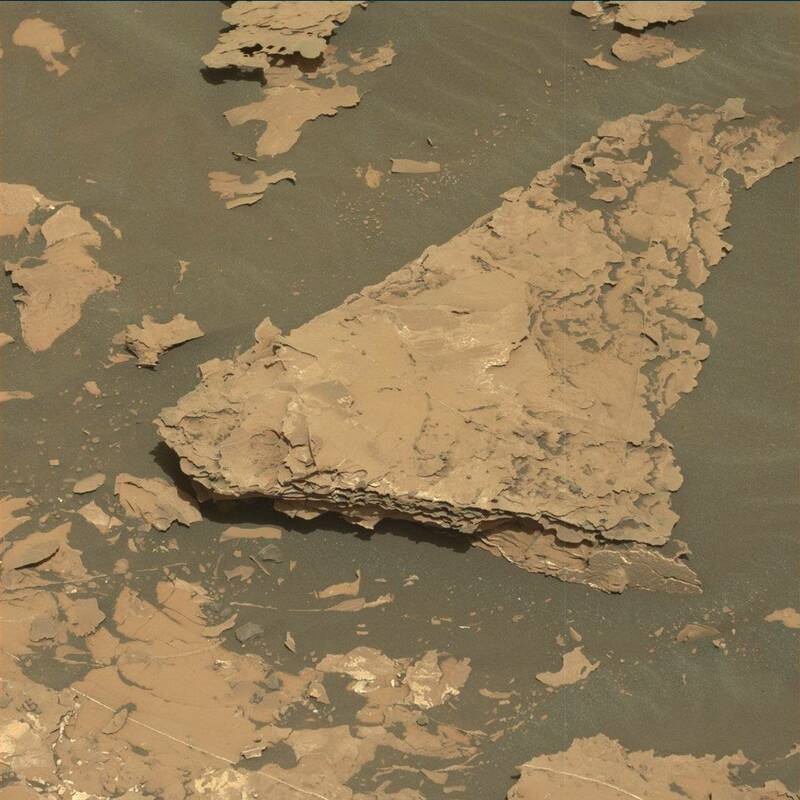 ​seemed to have possibly formed when mars lost it's atmosphere in extreme antiquity ! Please ZOOM in for clarity of text ! how they are coming out the sides of the round transporter that seems to be able to turn to pick up the dead to the left and then turn to the right to deliver ! Notice the large arm and how I compare it to a soldier lifting ! Notice how the arm gesture is very similar to the example of the soldier ! they lost their atmosphere and planet's surface destroyed in the extreme ancient of times on their planet. Pushing With Knuckles To Get Dead Creatures Into Place! Gathering Creatures Into Make-shift Type Barges Then Transporting Them To Final Destinations! dead creatures were close to brim full in their death containers! Please notice how the first three photos below show the "bringing together the dead". Notice how the Nav-cam version of the sculpture is similar to the Mast-cam! Please NOTICE how "gesture" oriented the martians are. Such as odd "hands", "arms"
seem to be "putting" the dead into containers, or taking them out of very shallow water-sculpture representations etc. Notice how the photo below seems almost filled in! In isn't by change that Nasa placed this image today at the end of the close-up images! I think anyway. It could change once they bring in more. But that was interesting to me. It is truly like showing all the work it was to bring in the dead creatures then finally filling up the bins ! That is when Mars lost it's atmosphere and the catastrophe destroyed the surface of Mars in extreme antiquity ! And over and over again Curiosity's photos seem to verify that the Rover is truly in creature-memorial like places! I think anyway ! Url to photo below ! Putting The Dead Creatures In "Layers" ! So Many Creatures It Causes a Tilt - Becomes Even Harder To Deal With ! Please notice "gestures" and notice the way the "grabber-like hands" form in a domino-like way! by taking dead creatures (in my opinion) downwards to await further processing! Notice signs of fish-faces with mouths open and eyes that seem to indicated death. Notice the "green" object and how it is placed over the rounded underlayment. Notice how I say youtube viewers think it is a meteor etc! But these green-like figurines simply CAN"T be. Why? Because they ARE aids to telling the story. It seems like martians are very exacting in they way they construct stories with their diorama-like sculptures! How even colors such as "white", "green" and "brown" have a uniformity to it! So many times "white" lines that form squares or starting of squares are placed there for demonstration purposes, to give a foundation of what the sculptured story is about, such as forming containers to place the dead to be processed! And almost always seem to be related to the loosing of martians creatures upon the martian's surface and other places due to a major calamity that ended the martian surface in extreme antiquity! 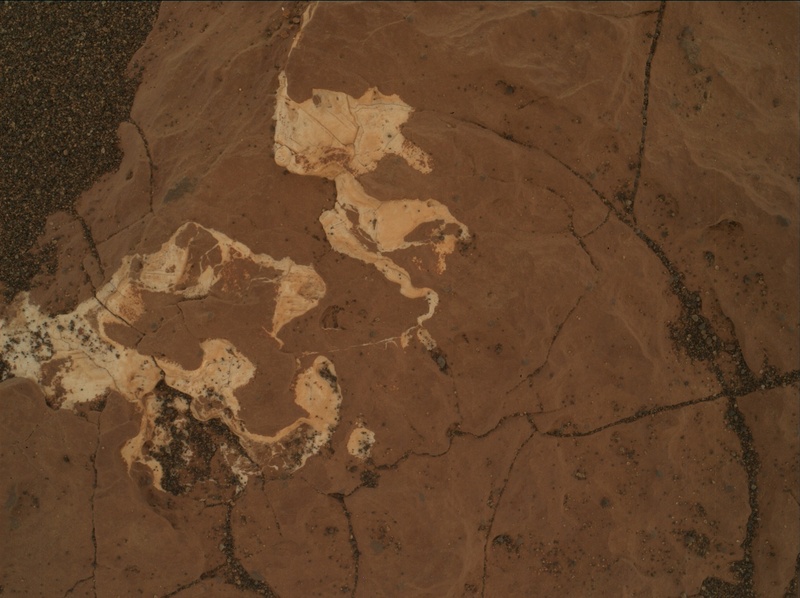 Please pay attention to pure green objects and how the brown underneath it are placed there so exacting and centered for a purpose to develop the stories of the sculptures involved in the nasa Curiosity Rover photos! I zoomed in quite a bit ! So you can find the section I used by comparing the zoomed-in image section to the larger url one! Notice how "bins" are indicated by the thin "white" border lines! It is made that way for a purpose of the sculptured diorama like 3 dimensional story! Please pay attention to GESTURES! They are SO important to many martian stories! By "gestures" I man pincher like hands in "white", grabbing gestures etc. Please notice the "green skeleton figurine" ! Have you seen those types of figurines before? I know I have and they seem to be important as well in developing the sculptured diorama like story! Under and Over White Lines - Then Putting Dead Creatures Into Containers! Notice The Sequence! Gathering Creatures At Left Side Areas (Below White Long Lines That Are Thick With Meaning)! Right side of long thick "white" line seems to mean more of developing the story at hand. Again, over and over again, "the white long and wide line seems to have meanings for both sides. One side the gathering and the other side, the putting the dead creatures into containers! Which are layered like pancakes ! And I think it is a staple meaning for the martian culture memorials that you see over and over, day after day, that the Curiosity Rover takes photos of, especially represented more clearly through the Mastcam ! Please pay attention to the "wide white line below (to the left side of the photo! I think there is enough information in what I'm showing you, that you see how the "gathering" takes place directly below the left side of the "white thick line" and the action of "putting dead creatures into containers" is happening on the right side. And blown up with larger 3 dimensional sections seemingly to develop the story line further! This pattern seems to repeat over and over again in photo after photo etc. But some are easier to diagnose than others, due to the complexity of the martian-sculpture-language! Please notice the "light bulbs" and my importance to the meaning of those "thin dark lines"! Notice how the martians are trying to develop the story line that, first these openings are slits in these pancake type layers ! 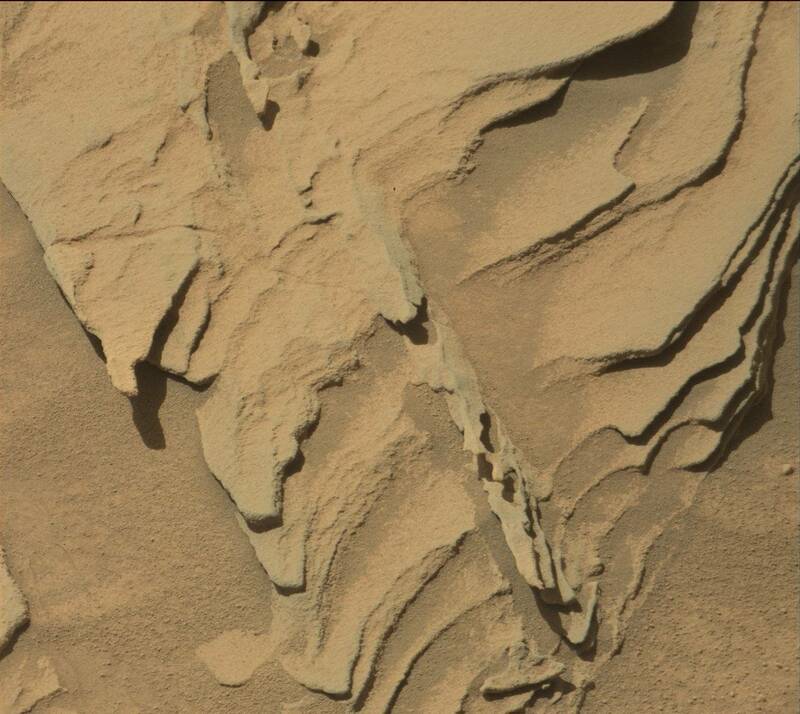 And the martians are trying to say (I think) that these layers are "gatherings" of the dead creatures when the martians lost their atmosphere in extreme antiquity! They are trying to show (I think) through these memorial-pancake-type layers, of the enormity of the work involved in doing creature clean-up in extreme antiquity when they lost their atmosphere and their planet ruination! 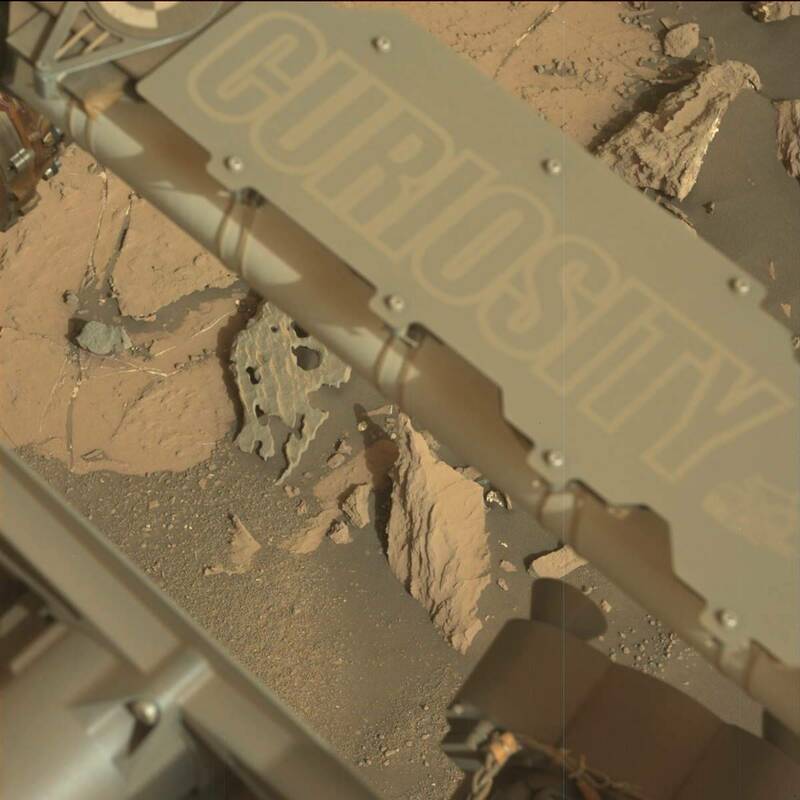 I see a repetition of this sacred practice through the photos of the Curiosity Mastcam! These sacred layers must have a staple meaning in them of memorial placement of their creatures when they died, and the terrible horrific job it was to do sacred clean up work. I see this in many of their green (current) sculptures as well. That they must of put them in memorial areas topside on mars, after they were through with them in their underground citiy memorial areas! But these brown like sculptures seem to be placed as possibly messages to us! Because the use "hand gestures and arm gestures" to show they are "gathering, or placing" representations of dead creatures into containers! Maybe some are aids by Nasa in trying to make us learn that the martians in fact are doing this, or should I say did do it when they lost their atmosphere, long, long ago! This procedure is one of the most startling things I've come across when looking at Curiosity Rover photos ! Jaw dropping and amazing to me to say the least ! made of creature themselves (their outer skin)! memorial areas on mars! And these memorials seem truly to be in memory of creatures big and small that used to roam in martian oceans, water ways etc. So terrible was the cataclysm that ended the martian atmosphere and the fear of spreading bacteria and of course to their loving memory. Through century after century and until this very day, the martians truly seem to be placing these sculptures where their oceans were etc. And it really seems to be they might of had information as to what types of creatures died in certain locations. That information truly could of been handed down generation after generation. For proper grave placements! are formed with "squares" and "circles", that are also formed into "white" like lines. 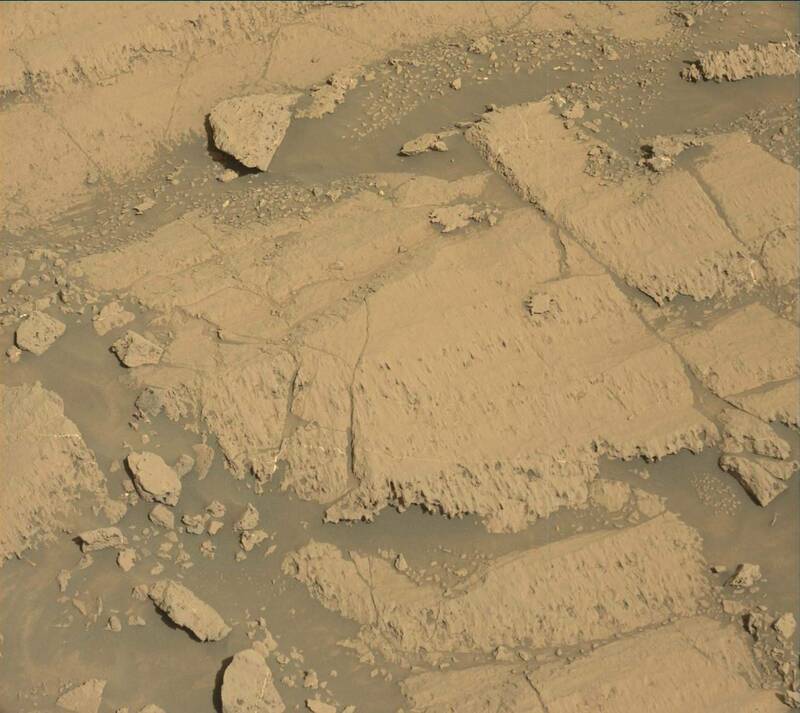 And if you look long enough at these Curiosity photos, you can see these "white" pincher like hands are also forming the square and round like containers. So not only are they putting the dead creatures that look like fish (sea creatures?) into containers but forming them as well. In other words Martians ARE in fact telling stories of the endless amount of work of clean-up after the dreaded long awaited catastrophe that they new eventually would hit them ! Why! WHY? do these diorama sculptured memorial like themes TRULY seem to convey the same meaning as what is in Ernest Norman's book: The Truth About Mars. The reason is, is that Ernest Norman was in fact telling the truth through his telepathic communication from a leader from Mars called "Nur El". Please see the link to this book in the "Martians" category ! Too fantastic you say ! Too much of what is in these sculptures reflect what is in Ernest Norman's book! Too much adds up to not be the truth ! His book: The Truth About Mars and Nasa's Curiosity Rover martian photos! A one-two punch that seems to knock down falsehood to it's very core! happenings in our lifetime ! If not he most extraordinary happening ! Which turns into giant large layers piled on top of each other ! Please notice how so many pincher-like hand gestures there are ! please, please notice this ! ! ! Gathering And Putting Dead Creatures Into Containers! Important: "Black eyes" ! I've seen too many "black eyes" in martians diorama like sculptures not to think that cow or steer looking creature doesn't have a black eye! Which means creatures are being destroyed. And why? Because many of the ground diorama like sculptures that martians are showing, are trying to show how their planet was ruined eons ago when mars lost it's atmosphere and it's planet destroyed in extreme antiquity ! he told about in his book is true! Please read the book online if you can ! It is under my category: Martians ! The Martians to this day, must be living underground under the surface of mars ! Way too much evidence indeed! In my humble opinion! Photo below: left side in the process of being added to, right side just about being filled up with the dead creatures! I have seen stories like this OVER and OVER again. I am NOT making this stuff up ! A page dedicated to sculptures that seemingly depict creatures being gathered into contianers ! Subtle and almost vague-like hands gathering creatures into containers. With a hint of what the martians are doing by providing a smaller sculpture down lower as a demonstration! The amazing thing is, these sculpture seem to repeat in meaning but in different forms, dimensions, sizes and styles! Notice the roundedness of the container at the bottom! Notice at the top left, how arm and odd hand seemingly trying to open square-like container! "Hand gestures" are monumental, I think in martian story diorama sculptures!